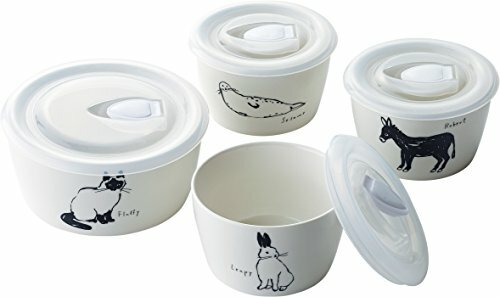 This 4 Bowls Set with silicon lids are cute and useful ! It has animal motif design. As silicon lid is included, you can use it for microwave. And it is ok for dishwasher. This set will be good for gift because it is boxed with cute box. If you have any questions about this product by maebata, contact us by completing and submitting the form below. If you are looking for a specif part number, please include it with your message.